Dr Kusumoto’s unique new book takes a step-wise, patient-centered approach to guide readers through the thought process required during an electrophysiology study and the development of new findings. Dr Kusumoto is Professor of Medicine, Mayo Clinic College of Medicine and Director of the Electrophysiology and Pacing Section at Mayo Clinic, Jacksonville, Florida. He has been involved in teaching and research and received the Excellence in Training in the Discipline of Cardiovascular Diseases two years in a row at Mayo Clinic. He was also named Teacher of the Year at the University of New Mexico. 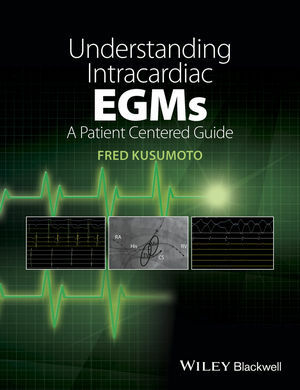 Dr Kusumoto has written two books on cardiac devices and cardiac pathophysiology and two books for Wiley-Blackwell: Understanding Intracardiac ECGs and EGMs and ECG Interpretation for Everyone: an On-the-spot Guide. In addition he has authored over fifty journal articles and book chapters.